Act on the basis of "everybody-all-at-once" — rather than on the basis of egoity and "tribalism"
Engage a lifetime of ego-transcending schooling in what He calls "zero-point education"
Adi Da's message in Not-Two Is Peace is not merely that human beings should resolve the world's urgent crises, but that we must do so in a radically new way. He speaks to many of the same global issues discussed by numerous contemporary authors, but His writing addresses these issues at the "root" level, thereby elucidating the fundamentally egoic forces behind humanity's dangerous trajectory. In so doing, Not-Two Is Peace proposes a profoundly new paradigm for world change and a cohesive program of solutions that reflect Adi Da's comprehensive and penetrating understanding of the workings of the earth-world. Readers will notice that Not-Two Is Peace is different from most of Adi Da's books. It is not principally a call for individuals to embrace the Reality-Way of Adidam and become His devotees. Instead, in the face of the devastating and deteriorating crises of our times, His essays spell out a brilliant vision of what is needed for global cooperation. The book contains extraordinary wisdom on the principal issues of our time that affect global survival. This expanded third edition includes many new essays and an entirely new opening section of summary principles. In the last years of His life, [Adi Da] Gave a unique Gift to the human family — His description of how the human sphere of grief and conflict can be transformed into a world of cooperation, tolerance, and peace. In His book, Not-Two Is Peace, Adi Da calls for the creation of a "Global Cooperative Forum", in which all of the people on Earth — or, in His words, "everybody-all-at-once" — are enabled to embrace an absolutely necessary paradigm shift — the shift from competition and conflict living as an "egoless collective". Such egoless participation (by "everybody-all-at-once") is how He says we will save the Earth from destruction. This new third edition of Not-Two Is Peace includes the final message from Adi Da on world change, spoken just hours before He Passed from the body on November 27, 2008. Something new must emerge. . . .
A new mode of social contract must emerge . . . an egoless mode of social contract — based on cooperation, tolerance, and universal participation and accountability. 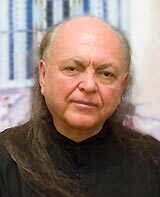 The World-Friend Adi Da wrote Not-Two Is Peace out of concern for humanity's current plight. He points to the necessity of re-establishing human civilization based on principles of mutual trust, cooperation, tolerance, "prior unity", — and the limitless participation of all humankind in transforming its own destiny.